Suhaila Salimpour is a highly acclaimed performer, teacher, and choreographer of belly dance. Trained from an early age in jazz, tap and ballet, Suhaila began integrating her extensive classical background with the Middle Eastern dance passed on by her mother, Jamila Salimpour. The result was a true artistic breakthrough: a revolutionary foundational technique that has brought the art of Belly Dance to a new level. In the U.S., Suhaila appeared on television series such as Fame and Max Headroom and choreographed various music videos. For six years, she was the featured dancer at Byblos, a prestigious Arabic nightclub in Los Angeles, where she shared the stage with the most renowned singers of the Middle East. Miles Copeland, owner of IRS records, prominently featured Suhaila in his 2005 documentary, American Bellydancer. Suhaila is the artistic director and producer of Sheherezade, an acclaimed performing arts spectacle that mixes belly dance with the synchronization of Riverdance, the pounding rhythms of Stomp and the aerial artistry of Cirque du Soleil. For Sheherezade, Suhaila was nominated for an Isadora Duncan Dance Award (“Izzie”)-making her the first performer in the belly dance genre to receive this prestigious nomination. Today, Suhaila creates instructional and performance videos for all dance levels, as well as fully-orchestrated Middle Eastern dance musicals and CD recordings of the latest percussion artists. In addition to touring across the globe, Suhaila maintains her second-generation family business, the Suhaila Salimpour School of Belly Dance, in Berkeley, California. 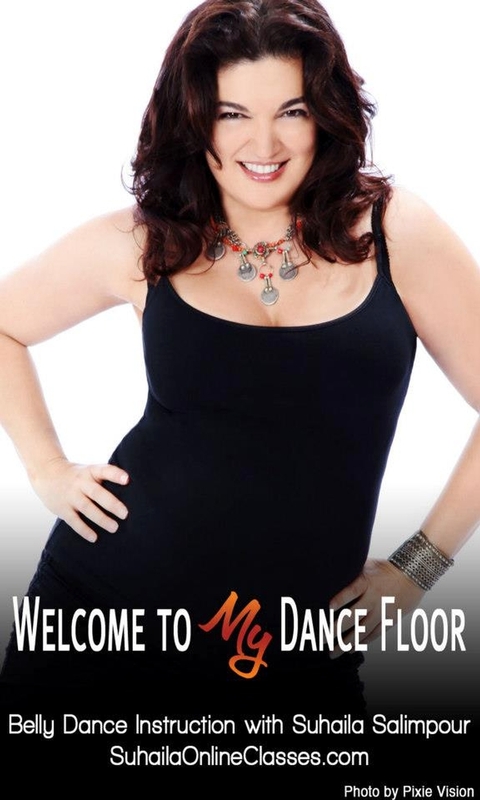 Suhaila has developed and implemented the first-available certification program in Middle Eastern dance. Suhaila looks forward to expanding the audience for and appreciation of traditional Middle Eastern dance in a distinctly contemporary style.